In what has become a popular summer favorite, the Movies by Moonlight series returns to the Koka Booth Amphitheatre for another stellar season. Patrons can bring a blanket or chair as the spacious lawn at Booth Amphitheatre is transformed in to an outdoor movie theatre. 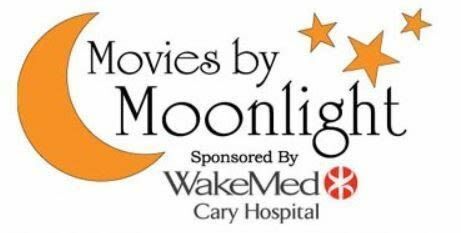 A portion of the Movies By Moonlight proceeds will benefit the WakeMed Children’s Hospital. Patrons are allowed to bring in picnics on these special family nights. Gates times are 7pm and movies will start at dusk (approximately 8:30pm).